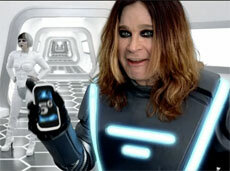 Ozzy Osborne isn’t the only one whose head is spinning from the rapid advancements in mobile technology. E-business leaders are faced with constant changes in the mobile channel and complexities never seen before in traditional ecommerce. While we thought designing and testing for various browsers, screen sizes, bandwidths and accessibility was complicated, mobile brings new devices (and device generations), screen sizes, operating systems, browsers, technologies, application development platforms, payment options and more to the table. To keep pace with this ever-going evolution, it’s not enough to embrace the mobile channel, you must also embrace change. Get savvy in these seven areas and your mobile strategy won’t get shafted by the shift. While the mobile channel (or touchpoint) has not historically been a huge sales driver for most e-businesses, the growth in ownership of smartphones and tablets is expected to drive growth in m-commerce. More smartphones than PCs were shipped in Q4 2010, and an estimated 52 million tablets will be shipped this year. Consumers are using their mobile devices in-transit, in-store and even at home in front of their TVs and computers. They expect to be able to interact with your site content and account information anytime, anywhere. But the wrong way to approach your mobile strategy is “let’s just build this thing because I heard mobile is taking off and Get Elastic says we need an app, a mobile optimized site, an SMS campaign and QR codes on our packaging.” Before making any decisions about mobile strategy, understand what customers want and expect from you. Are they ready to transact through mobile, or do they just want to check order status and receive SMS alerts when their item has shipped? Do they expect to see your full catalog, or just top sellers or a personalized mix? Do they use their mobiles in-store? Would they use a native app, and which device owners are more likely? Also consider your market. In some countries, data plans are expensive and customers are less likely to use mobile for shopping, or may desire “lite” sites that don’t have too many objects to download. Because change happens so rapidly, it’s important your data is very current. Embrace customer behavior and preference changes, and plan to re-survey every 6 months. Customer surveys and third party research (broken down by demographics) can answer many of the above questions, but your web analytics are also helpful. Knowing which mobile devices and operating systems are accessing your site the most today along with bounce rates and other engagement signals can show you where you may need to optimize first. Not only are new categories of mobile devices hitting the market every year, but existing devices are continually being replaced by “next generation” models with new features and functionality. At the same time, new players are entering the market, for example, RIM’s PlayBook tablet computer. Embrace change by following tech blogs like Wired and Engadget to keep on top of all the latest geeky goodness, and regularly forecast what your mobile offering needs to look like in anticipation for such shifts. For example, if Apple decided to support Flash, it would change the constraints around serving multimedia to iPhone, iPod and iPad. Or, as Google’s Android overtakes Apple in O/S share, priorities for development may shift. Only a couple years ago, mobile apps were all about Apple and Blackberry. Not the case anymore. From HTML5 to various software development kits and APIs, developers need to stay on top of it all. As new generation devices are released, applications may require updates regularly to stay compatible (e.g. iPhone 4 to iPhone 5). At the same time, other technologies like WAP are becoming outdated. Page load speed is very important, especially when a mobile user is using a weak wifi connection. Understanding performance optimization for all devices will go a long way. Don’t just think about developing the mobile apps themselves, but also how your underlying commerce platform will feed these “touchpoints.” Seamless experiences that enable access to subscription content, wish lists, account information, order tracking and personalization features (recently viewed, you-might-like etc) serve your customer better, and simplify analytics and reporting. Embrace change by taking a long-term look at your ecommerce platform roadmap, and what you need to become an “agile” ebusiness. If you don’t already, consider accepting mobile payment options like PayPal Mobile Payments. New mobile customers concerned about keying in credit card numbers may prefer them (not to mention they’re more user-friendly than keying long numbers with tiny buttons or touch screens). With NFC (near-field communication / “pay wave”) and new mobile payment options rumored to emerge (think bill-to-carrier, bill-to-iTunes for everyday goods and services, Facebook Credits etc) , prepare to adapt your ecommerce engine to support these innovations 2, 5 and 10 years down the road. 5. Analytics Your existing analytics solution may not cut it when it comes to mobile. Sure, you can see who’s accessing your site through what devices, but your data needs to answer more questions. Do customers access your content across devices, and how often? Do mobile clicks translate to traditional web conversions, and vice-versa? What about in-app activity? Who are your mobile-heavy customers and do they respond better to mobile email and SMS campaigns? Do clicks from emails opened on mobile devices convert on mobile? How many mobile devices are used in-store (location-based analytics)? You may need to look at point solutions that provide the metrics you need, or invest in a new analytics package. Check with your vendor on what mobile capabilities are on their roadmap before you make any drastic changes – there’s more than a financial cost to changing analytics vendors). Beyond the tools, who will own mobile measurement? Most ebusinesses are already swimming in data and struggle enough with web metrics, let alone the complexities of multi-channel attribution. But to really realize your return on investment and optimize the channel, investment in people who have a solid process is key. Embrace change by staffing for mobile itself, rather than spreading your existing analytics team too thin. Advertising dollars follow eyeballs, and eyeballs are on mobile. Opportunities include branded virtual goods, interstitials, in-app advertising and mobile-targeted paid search campaigns / click-to-call. (Mobile PPC should be separated into its own campaign because it typically has lower CPC (cost per click) and lower conversion.) Ads on smaller screens may get more attention than wide-screen WWW units, it’s tough to “overlook” an ad on a mobile phone. SMS advertising is also a unique opportunity for the mobile channel. Forrester Research found 70% of consumers who receive commercial SMS messages at least open them. Location-based SMS campaigns, mobile coupons for in-store scanning and fun contests are all ways to leverage this method of communication. Embrace change by allocating a portion of your PPC and display advertising budgets to mobile (if you have an established mobile presence to drive traffic to). I mentioned mobile PPC, but there’s also nuances to mobile SEO. There is much debate around what mobile search engine optimization best practices are – since the secret-sauce-algorithm rests with Google and Bing engineers, we can only speculate and postulate. But as with traditional SEO, we can expect more “clues” offered from the search engines, and more sharing of what works and what doesn’t from the speaker circuit. Embrace change by keeping up with SEO news, attending conferences (and reading Get Elastic, of course!) Don’t just think of SEO in terms of Google and Bing. If you have a mobile app, your findability in app stores and other marketplaces is important, too. Can’t get enough mobile? Our own Executive VP of Elastic Path, Mark Williams, will be representin’ at the Mobile Shopping Spring conference along with panelists from eBay, Fandango, Amazon and the Children’s Place. You can catch the session Impending ‘Disruptive’ Moments: Developing A Mobile Channel Strategy That Embrace’s Change Friday, April 29th in San Francisco. Previous articleIs Multichannel Commerce Dead? Next articleUPDATE: Will A Mobile Website Help Your Mobile Search Ranking? When Should I Do Performance Testing?